Blogging - What is it? Many times I have spoken to my friends and told them 'I have so much blog work to do' or having to cancel plans because I need to catch up or start some blog work and most of them do look at me with a blank face. Because lets face it, any non-blogger who comes across a blog or knows a blogger (in person or via social media) don't really know how hard it is to run a blog. They are pretty much clueless about how much a blog needs and about the 'blogging world'. When I first started blogging, never did I think it would be this hard. But it's something I enjoy. I do find it harder some months than others. I have tried to keep a schedule and use my blog organiser but sometimes it's still hard to keep on top of things, especially with having two children running around and wanting attention all day, and being pregnant. Don't forget the house work and other thing us parents have to do too! I thought I would write this post a little different this time. Hopefully, it will be a little easier for my readers to read and understand. How many hours do you spend blogging per week? I can spend 35-50 hours a weeks blogging. It all depends how much time I get during the week and if the kids are in school and how tired I am in the evenings. I can spend 30-60 hours blogging but when you are a blogger, it's always on your mind. When you go out or just having some chill out time, you always think of blog post ideas (and sometimes forget them later on! ), changes to your blog, things you need to add or change to your blog and so much more. Can you really earn money through blogging? Yes it can be. Your blog can be pretty much anything you want it to be, if you work hard at it. Although I work pretty much full-time hours, I only earn £200-£300 a month. But some months I will earn £0-£100. It all depends how much work there is. Why is it 'hard work'? Well blogging is a lot of work. I have been blogging for nearly 3 years and all I have done is work hard on my blog. I have had some months where I felt stuck and wasn't sure what to write but there was other things I was still doing, blog related such as working on my social media and advertising my posts. To keep your blog going you really do need to work on your blog either daily or every other day (my opinion). If you are wanting to earn money through your blog, get people to know your blog, gain readers and other things then you really do need to work hard. Just like anything else, if you want to achieve something, then you need to work for it. 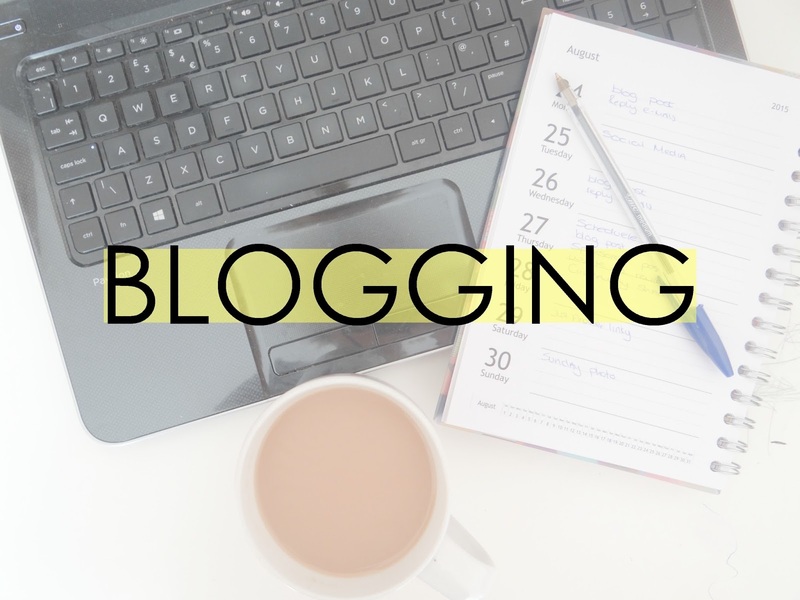 A Blogger is someone who documents their life or/and interests on their blog. There are many kinds of different bloggers such as, Parenting, Lifestyle, Fitness, Weight Loss, Plus Size, Beauty, Music, Gossip, Pregnancy and much more. Some bloggers prefer to write publicly and some decide to be anonymous. A blog is whatever you want it to be! It its your space on the internet. Make it public or just make it as your personal blog for no one else to read. It's your choice. Make it big or make it small. Make it your hobby or make it your profession/business. A blogger does many things to keep their blog up to date. There are two kinds of bloggers though. There is one who does it for a hobby and keeps their blog to themselves and there is a blogger who enjoys blogging and works hard to gain readers and maybe get it as a part/full-time job. A blogger's mind never rests. There are many things that bloggers do and think on a daily basis, such as, taking photos, editing photos, writing content for their blog, editing their blog, social media updates, organising the following week or month, answering e-mails and much more. If I was too start blogging, how would I start reviewing products? I have had many people ask me this. I don't mind them asking me though. When and if you start blogging you do need to realise that product reviews won't come straight away and it is not easy to get. Usually companies will e-mail you asking for you to review a product for them but if you are wanting to get to that stage, it may take a good few months or even a year. Companies like bloggers to review products because bloggers helps spread the word of that company/product. It's a way of advertising and no company is going to want a blogger to review a product if that blog has hardly no readers or views monthly. You need to gain readers and traffic to your blog to attract companies/PR's. Are good images important for a blog? I personally think, yes. But you don't have to have the top of the range camera. A mobile phone will be fine or a simple camera, as long as you get the right lighting and editing, then your image should be fine. A good programme to edit your photos is PicMonkey. What do I need to be a blogger? You don't need anything to be a blogger. Anyone can be a blogger but like I said above, there are many bloggers who just write for themselves as a hobby and not share their blog around via social media etc. But if you are wanting to be one of those bloggers who would like some readers and traffic then you do need to make sure you have time. Blogging takes a lot of your time if you want it to be successful. There are many things to learn whilst blogging too, but you learn it on your way. How do I get my blog 'out there'? This is another question I get asked pretty often. It's all about advertising. Social media is one good way to advertise your blog. So it is important to have social media account related to your blog, such as Twitter, Facebook page, Pinterest and Bloglovin'. Another way to get your blog out there is joining in Facebook group threads, this will also gain traffic to your blog. It can be pretty hard and will take up a lot of your time joining in with threads but if you want something, you have to work hard for it. Great post. It so hard to explain to someone who doesn't blog or get blogging how much work we have to put into it. Great post.. i always get what made you start a blog?! Now my friends are addicted and are writing their own! Reallt great post. My friends don't know what bloggIng is or understand what I do. When I try and explain it never comes out right. My blog is always on my mind and I suffer with major bloggers guilt. Great blog post, people don't realise how much hard work goes into blogging. My friends don't really understand why I get a little stressed out and overloaded sometimes when I have lots to do with it. I should point them in the direction of this post! This is a really insightful post for a new blogger, thank you for sharing. 40-60 hours?! Wow! It's great to hear your thoughts on images. I feel my posts are let down by mine at times. This is a great post. I've had a blog for a while now, but have never fully committed to it. In the new year I vowed I would take time for myself and commit some time to blogging. My plan is to start off with 30-60 minutes a day. But I really need to learn how to get my blog seen as well. Thanks for sharing your advice.